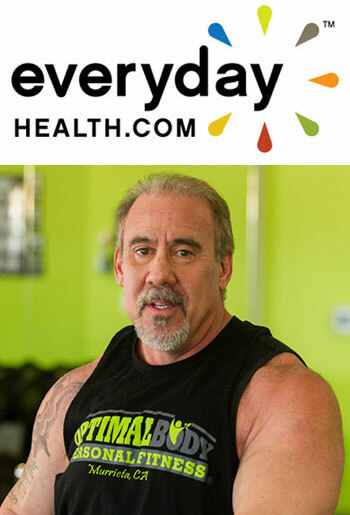 DVC Stem is a proud partner with David Lyons and The MS Fitness Challenge to fight Multiple Sclerosis with a total body wellness approach through proper nutrition, exercise, and treatment. Along with David and MSFC, we strive to bring hope to those affected by MS, and help them continue to lead long, healthy, and active lifestyles. DVC Stem is a stem cell therapy pioneer offering the latest in regenerative medicine, and has become a cornerstone in the medical tourism industry. Located in the tropical paradise of Grand Cayman in the Western Caribbean, we offer patients a nearby alternative to traveling long distances to less ideal locations. Our protocols are IRB approved, and our cells come from regulated, U.S. based, FDA compliant laboratories. We seek to offer the highest quality products, the latest available treatments for a variety of conditions, all combined with a world-class setting and personal service. To learn more or for a free consultation, visit us at www.dvcstem.com or call us at (877) DVC-STEM. Multiple sclerosis [MS] is a major cause of neurological disability. It is characterized by damage throughout the brain and spinal cord, with loss of myelin and myelinating cells and damage to neurons and axons. MS is the most common neurological disease in young adults, affecting approximately two million people worldwide. Currently there is no cure for MS. The standard treatment of MS involves disease-modifying drugs, which often work to alleviate the symptoms of MS, but not curing the underlying issues. However, these drugs carry adverse side effects and are ineffective in preventing disease progression in many MS patients. Today Multiple sclerosis is incurable, but stem-cell therapy might offer valuable therapeutic potential. Stem Cell therapy is currently demonstrating efficacy in treating patients with variable disease severity, with the best results in early-stage rapidly progressing MS patients with active CNS inflammation. Due to the urgency in treatment required of MS patients, all forms of stem cell therapy should be pursued. A strong rationale for cell-based therapy in multiple sclerosis is based on the ability of stem cells of neural and mesenchymal origin to decrease neuro-inflammation, to enhance repair processes, andperhaps to participate directly in remyelination, repair of damaged neurons. Mesenchymal stem cells (MSCs) are precursor cells, or cells that can be isolated from adipose tissues(fat), bone marrow,and umbilical cords.They are then culture-expanded to increase cell numbers up to 300 million, many times the volume of the original sample. This drastic increase in cell number ensures maximum effectiveness during treatment. Stem cells have demonstrated healing and repair-promoting properties. This makes MSCs an attractive potential therapy for MS and other conditions characterized by inflammation and/or tissue injury. Mesenchymal stem cells (MSCs) represent an attractive alternative to develop a cell-based therapy for MS.
Other potential advantages of stem cell therapy to MS patients include their ability to move from the bloodstream to areas of injured tissues, allowing for a comfortable IV administration of these cells into the body. The stem cells will then be attracted to those areas of injury or inflammation and begin the process of ‘differentiation’ to begin the healing process. Stem cell therapies are generally less invasive, have shorter recovery times, and lasting healing effects on the body. DVC Stem has been working directly with MS patients for years and actively participating in MS research in the search for a cure. We believe stem cell therapies offer an exciting alternative for patients with MS that have had little success with more conventional treatments. Although results are still being collected today, patients have already experienced positive outcomes from cellular therapies. Contact us today to learn more.